The therapeutic use of human cell and tissue products is highly regulated by the U.S. government, but a specific exception allows surgeons to harvest, manipulate, and implant tissues in many commonly performed surgical procedures. While the operating room is often the stage where innovations in tissue engineering and regenerative medicine are realized, as surgeons use grafted tissues, novel biomaterials, and new approaches to numerous procedures including performing breast, chest and abdominal wall, and pelvic floor reconstruction, new FDA draft guidelines would place even tighter restrictions on surgical practice and may limit the development of new therapies. This topic is examined in an Editorial in Tissue Engineering, Part A, a peer-reviewed journal from Mary Ann Liebert, Inc., publishers. The article is available free for download on the Tissue Engineering website until July 1, 2016. McGowan Institute for Regenerative Medicine faculty member J. Peter Rubin, MD, Chair of the Department of Plastic Surgery, UPMC Endowed Professor of Plastic Surgery, and Professor of Bioengineering at the University of Pittsburgh, is a co-author of the Editorial. 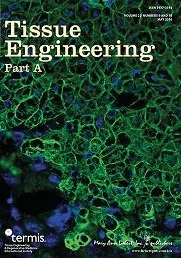 In the Editorial “Surgical Therapies and Tissue Regeneration: At the Intersection Between Innovation and Regulation,” the Clinical Council of the Editorial Board of Tissue Engineering discuss the United States Code of Federal Regulations as it relates to the use of human cells and tissues and the products derived from them (HCT/Ps). The authors describe the draft FDA regulatory guidance documents and how they would impact companies developing products for regenerative medicine and surgeons performing procedures on patients, including some unintended consequences on the practice of common reconstructive surgical procedures. Specifically they focus on the criteria that distinguish minimally manipulated HCT/Ps that are removed from and returned to the same patient in the operating room, as well as issues surrounding homologous use. The other authors of the Editorial include Geoffrey Gurtner, MD, Stanford University School of Medicine (CA); Wei Liu, MD, PhD, Shanghai Jiao Tong University School of Medicine (China); Keith March, MD, PhD, Indiana University School of Medicine (Indianapolis); Riitta Seppänen-Kaijansinkko, MD, DDS, PhD, University of Helsinki (Finland); Michael Yaszemski, MD, PhD, Mayo Clinic College of Medicine (Rochester, MN); James Yoo, MD, PhD, Wake Forest University School of Medicine (Winston-Salem, NC). Illustration: Tissue Engineering, Part A.